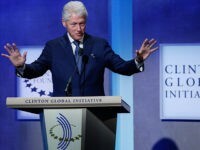 The shakeup at the Clinton Foundation intensified Thursday after Bill Clinton told a room full of the foundation’s staff that he will resign from the Clinton Foundation board if Hillary Clinton wins the White House in November. 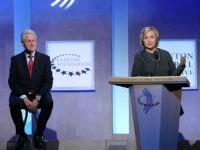 In the wake of reports that the Clinton Foundation may have been hacked, Hillary Clinton’s embattled foundation announced on Thursday that, if Clinton is elected, her foundation will no longer accept the kinds of foreign and corporate donations at the heart of the “Clinton Cash” scandal. 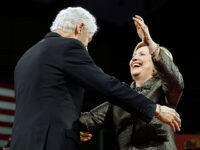 Despite what the Mothers of the Movement believe, black lives don’t matter to Bill and Hillary Clinton. 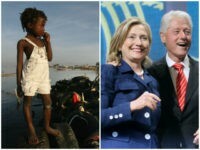 Just ask the Haitians who’ve spent years trashing the Clinton’s for screwing them over and turning the tragic earthquake that rocked the tiny Caribbean country in 2010 into a lucrative venture for their closest allies. 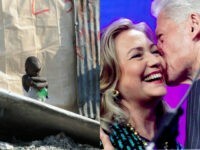 A group of protesters outside the Democrat Nation Convention railed against Hillary Clinton and the Clinton Foundation for their long-reported history of using their global connections to exploit the poor people and the resources on the tiny Caribbean island of Haiti. 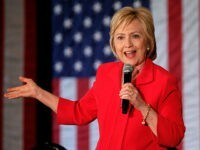 Peter Schweizer: What’s Missing from the ‘Strange Gaps’ in Hillary’s Email History? 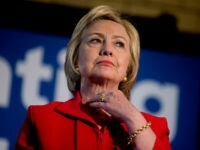 Breitbart Senior Editor-at-Large Peter Schweizer, the author of the bestselling book “Clinton Cash” and narrator of the new documentary of the same name, writes in Politico Magazine about the “strange gaps” in Hillary Clinton’s email history and what could be missing. 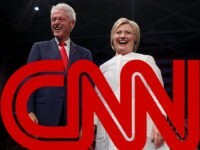 Clinton Cash author and Breitbart News senior editor Peter Schweizer addressed the criticism that his book plays a “guilt by association” game with the Clintons on Friday’s Breitbart News Daily with SiriusXM host Stephen K. Bannon. 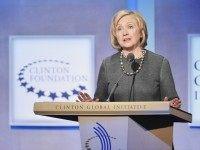 Presumptive Democrat nominee Hillary Clinton said The Clinton Foundation had “overwhelming disclosure,” referencing its donations on Wednesday, but multiple reports reveal that’s untrue. 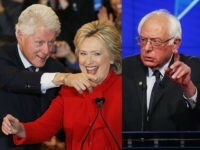 Nolan Finley writes in the Detroit News about how a Clinton corruption scandal with a local Metro Detroit connection highlights the thesis of the new documentary film “Clinton Cash” based on Peter Schweizer’s bestselling book of the same name. 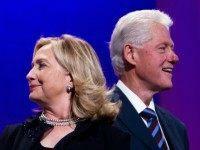 Ann Hornaday writes at the Washington Post that the new documentary film “Clinton Cash” based on Peter Schweizer’s bestselling book of the same name, is aimed at influencing progressive voters against Hillary Clinton. 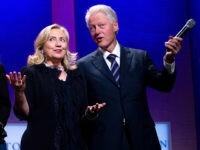 R. Emmett Tyrrell, Jr., editor-in-chief of the American Spectator, writes in his latest column that the new documentary film “Clinton Cash,” based on Peter Schweizer’s bestselling book of the same name, reveals how the Clintons accumulated wealth from the world’s worst human right’s abusers. 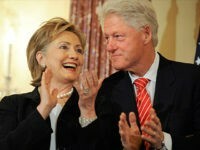 James Taranto writes in his “Best of the Web” column in the Wall Street Journal that the new documentary film “Clinton Cash” based on Peter Schweizer’s bestselling book of the same name, would be an effective tool for Bernie Sanders to use in his campaign against Hillary Clinton if the Vermont senator were wise enough to use it. Former New York Lt. 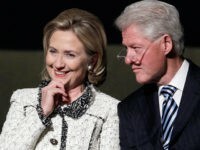 Governor Betsy McCaughey writes in Investor’s Business Daily that the new documentary film “Clinton Cash” based on Peter Schweizer’s bestselling book of the same name, reveals how the Clintons “cashed in” on their government service. 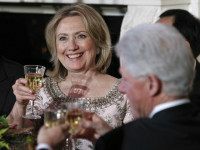 Todd Seavey writes about what the revelations in the new documentary film “Clinton Cash” based on Peter Schweizer’s bestselling book by the same name, says about Hillary Clinton’s character. 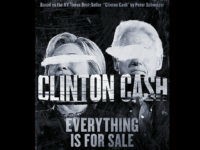 Roger Kimball writes in PJMedia about the new documentary film “Clinton Cash” based on Peter Schweizer’s bestselling book by the same name, which premiered during the Cannes film festival this week. 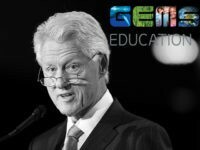 Read Kimball’s review below (emphasis in the original). 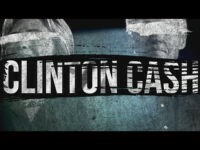 In an interview with Ashley Pratte of LifeZette, author Peter Schweizer discussed his the new documentary film “Clinton Cash” based on his bestselling book by the same name, which premiered during the Cannes film festival this week.